The State Bank of Việt Nam (SBV) will direct credit for the agriculture sector into high value production and participation in the global value chain. 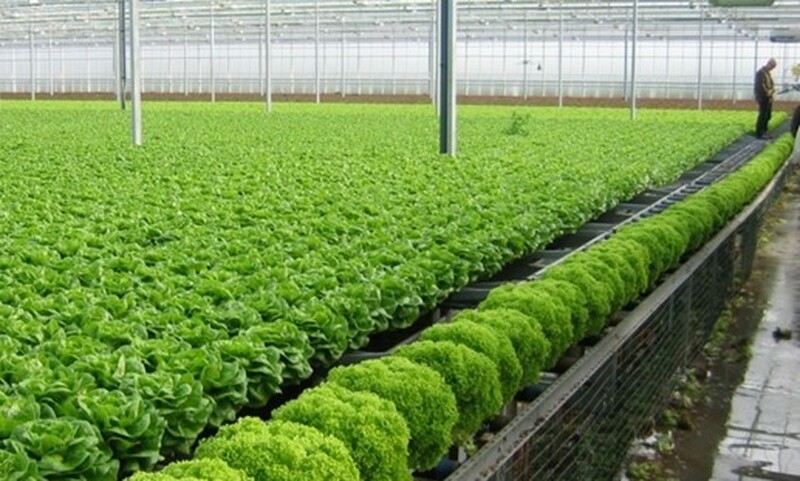 Đào Minh Tú, SBV’s deputy governor, said at a conference on Sunday that credit policies will focus on encouraging high tech farming in order to improve product quality and value. Experts at the conference said a huge amount of capital is needed to restructure the agriculture sector, of which credit must play a key role. However, farmers continue to find it difficult to access banking credit. Lại Xuân Môn, President of the Việt Nam Farmers’ Union, called it difficult for farmers to borrow money from banks without mortgages, even though the Government’s Decree 55 on credit policies for agriculture and rural development allows lending without mortgaged assets. Phạm Đức Thắng, a farmer from northern mountains’ Hàm Yên District, said his family business is struggling to find long-term capital for expanding production. Farmers still needed mortgaged assets to borrow money from banks but, land, a popular asset for mortgage, is often evaluated at low values in rural areas. Trịnh Thị Mý, a farmer from northern Quế Võ District, said that her family invested more than VNĐ20 billion (US$895,000) in September to expand husbandry production but only managed to borrow VNĐ2.5 billion from banks and was forced to mortgage six lots of land with a total area of 4,200sq.m. to get the loan. Lê Quang Thành, general director of Thái Dương Company--which operates in animal feed and rearing in northern Hưng Yên Province--said there are credit policies for agricultural production, but the policies are not realistic. He said in many countries loans are provided for up to 30 years for the animal raising sector, while in Việt Nam loans are only offered from three to seven years, making it difficult for farmers to repay their debts. “Credit policies for the farming sector still do not pay adequate attention to the real demand,” Nguyễn Đỗ Anh Tuấn, director of the Institute of Policy and Strategy for Agriculture and Rural Development, said. In addition, small-scale and scattered production as well as risks from climate change, diseases and natural disasters made banks hesitant in providing credit to the agricultural sector. According to Tú, policies and incentives in the agriculture and rural sector should be adjusted, and the central bank should continue simplifying lending procedures to farmers while tightening supervision to ensure loans are used for the right purposes. Economic expert Cấn Văn Lực said support will be provided to farmers in improving financial and banking service awareness. Statistics of the central bank showed that as of the end of September, outstanding loans in the agriculture sector totalled VNĐ925 trillion, up 9.6 per cent over the end of 2015 and 13.4 per cent over the same period last year. The agriculture sector accounted for 18 per cent of the economy’s total outstanding loans. “It is critical to bring the industrial production mindset into agricultural production,” Nguyễn Đức Kiên, deputy chairman of the National Assembly’s Economic Committee, said. Kiên said during enterprises’ privatisation, assets would be allocated to those who used them in the most efficient manner. “Why doesn’t the agriculture sector apply the same mechanism?” Kiên questioned.